*Set of 12 unique personalized notes printed in a forever classic black and gold tone. Perfect for sending your wedding thank you notes! 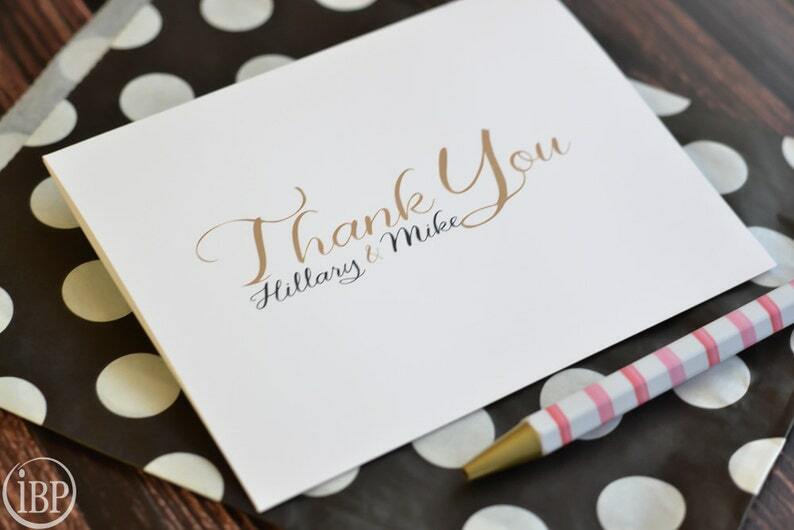 *A classy design to use for your bridal shower thank you notes, wedding thank you notes or any other occasion! *Perfect for an individual or for a couple. Makes the Perfect Wedding Thank You Note!